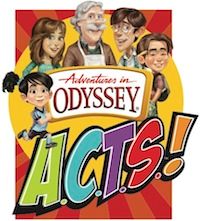 Need some ideas to get you started with ACTS? Take a look in your neighborhood, just on your blog and see what needs you can help with. Trash pick up is always a helpful thing to do and it makes your neighborhood look so much nicer. Have an older couple in your neighborhood, what about stopping by and offering to mow their grass, or run some errands for them. The ideas are endless, just depends on the skill level of your children and the area around you. 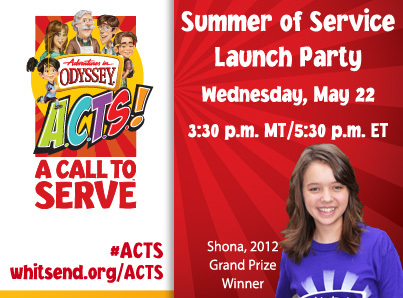 A call to serve is a great opportunity for kids to look outside of themselves! My son is baking bread right now, and decided to make several extra loaves to share with the neighbors. Just a small token to let them know we are thinking about them, and that Jesus loves them. Neat. Thank you for sharing. This seems awesome! I think this is terrific! Thanks so much for sharing! What a great idea!! Even if I don't do it for the contest, I think we might in-cooperate the log into our summer fun!